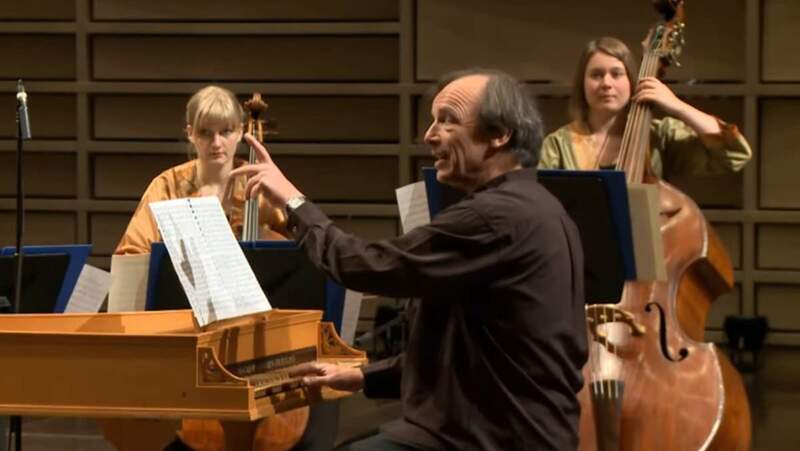 European Union Baroque Orchestra performs Johann Sebastian Bach’s Brandenburg Concerto No. 3 in G Major, BWV 1048. Director and harpsichord: Lars Ulrik Mortensen, Concertmaster: Huw Daniel. Recorded in Trifolion Centre Culturel, Touristique et de Congrès in Echternach, Luxembourg on 20 and 21 November 2011 by fz film (Anette Fleming, Stefan Zednik). Bach’s Brandenburg Concertos represent the summa of chamber music in the high baroque period, and the third concerto (BWV 1048) is noted for its rich texture of three violins, three violas and three cellos, with a continuo part for the harpsichord and violone. The original title is as follows: “Concerto 3zo [terzo] a tre Violini, tre Viole, è tre Violoncelli col Basso per il Cembalo”. On the continuo part, Bach has written “Violone & Cembalo”, and this is how it is performed in the video, just as it is indicated in the original manuscript. The second movement consists of a single measure with the two chords that make up a ‘Phrygian half cadence’ and—although there is no direct evidence to support it—it was likely that these chords are meant to surround or follow a cadenza improvised by a harpsichord or violin player. Modern performance approaches range from simply playing the cadence with minimal ornamentation (treating it as a sort of “musical semicolon”), to inserting movements from other works, to cadenzas varying in length from under a minute to over two minutes. Wendy Carlos’s three electronic performances (from Switched-On Bach, Switched-On Brandenburgs, and Switched-On Bach 2000) have second movements that are completely different from each other. Occasionally, the third movement from Bach’s Sonata for Violin and Continuo in G, BWV 1021 (marked Largo) is substituted for the second movement as it contains an identical ‘Phrygian cadence’ as the closing chords. The Largo from the Violin Sonata in G, BWV 1019, has also been used. Founded in 1985 as a major initiative of European Music Year to celebrate the 300th anniversaries of three great baroque musicians, Johann Sebastian Bach, Domenico Scarlatti and George Frideric Handel, the European Union Baroque Orchestra (EUBO) is a training initiative which allows young performers of baroque music from all over the European Union to gain orchestral experience as part of their career development, to bridge the gap between conservatoire study and a professional career. The orchestra performs at many of Europe’s finest music festivals and concert halls. The success of the project, under the direction of the world’s most eminent baroque musicians, can be measured in the number of ex-EUBO members who now play in Europe’s leading baroque orchestras. Lars Ulrik Mortensen is a Danish harpsichordist and conductor largely in Baroque solo and chamber music and Early music repertory. He is the son of the conductor Bent Mortensen. He studied with Karen Englund (harpsichord) and Jesper Bøje Christensen (figured bass) at The Royal Danish Academy of Music in Copenhagen and with Trevor Pinnock in London. He has a career as a soloist and chamber musician in Europe, North and South America and Japan. From 1988 to 1990 he was harpsichordist in London Baroque, and from 1990 to 1993 he was a member of Collegium Musicum 90. He appears regularly with singer Emma Kirkby, violinist John Holloway and cellist and gambist Jaap ter Linden. He has recorded for Archiv Produktion (3rd harpsichord in Bach’s 3- and 4-harpsichord concerti with The English Concert), harmonia mundi, Kontrapunkt and da capo and his recording of Bach’s Goldberg Variations won him a Diapason d’Or. He is the artistic director of Concerto Copenhagen, and appears regularly directing opera at the Royal Theatre in Copenhagen. He is also the artistic director of the European Union Baroque Orchestra since 2004. He was professor of harpsichord and performance practice at the Hochschule für Musik und Theater in Munich from 1996 to 1999. In 2007 he was awarded the Léonie Sonning Music Prize, Denmark’s premier music award. Huw Daniel was a pupil at Ysgol Gymraeg Castell-nedd and Ysgol Gyfun Ystalyfera, South Wales, and continued his education as an organ scholar at Robinson College, Cambridge, where he graduated with first-class honours in music in 2001. He then studied at the Royal Academy of Music for two years, learning the modern violin with Hu Kun and baroque violin with Simon Standage. Whilst at the Academy, Huw was awarded the John Thomas Memorial Scholarship and the Dorothy Kennedy Davis Award; he also led the Academy’s period-instrument baroque orchestra in a concert at the London Handel Festival. Huw is a member of the English Concert. He also plays regularly with many period-instrument chamber groups including the Arcangelo Quartet, the Marésienne Consort, the Bach Players, and the Musical & Amicable Society. In 2004, he was a member of the European Union Baroque Orchestra, the members of which formed Harmony of Nations and continue to play together under this name. Huw plays with several other period-instrument orchestras, including the King’s Consort, the Irish Baroque Orchestra, the Orchestra of the Age of Enlightenment, the Amsterdam Baroque Orchestra, Les Arts Florissants, the London Handel Orchestra, and the Sixteen. He is the leader of the Orquestra Barroca Casa da Música, Porto, Portugal, English Touring Opera’s baroque orchestra, and Harmony of Nations, and guest-leader of Collegium Musicum Telemann, Osaka, Japan, and St James’s Baroque. He will also guest-lead EUBO in October 2008. 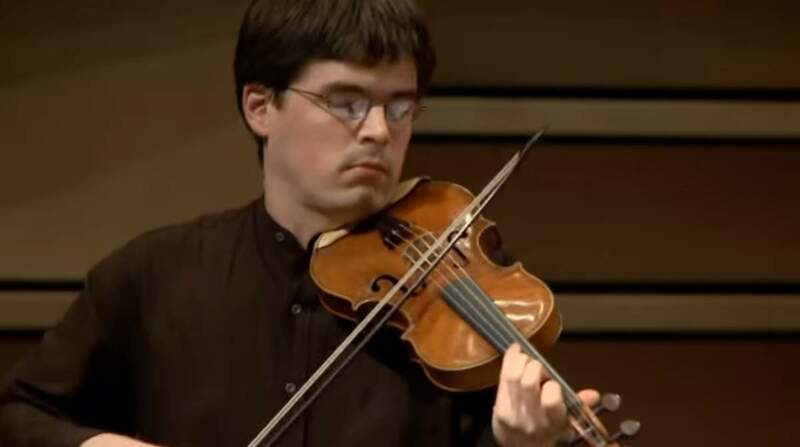 He plays the modern violin regularly with Sinfonia Cymru, the National Chamber Orchestra of Wales, and the Neath Chamber Orchestra.